This is a collaborative project, and it doesn't work without you! You! This is a collaborative project and it needs your participation! A few days before Ash Wednesday 2017 I became inspired to host a collaborative conversation on hymns. Which hymns speak to us and why? One of the ways I thought we could respond to the Church's invitation to a "holy Lent" would be to dive a bit deeper into the hymns of our faith. You can read the original invitation here: "A Collaborative Lenten Devotional on Hymns". 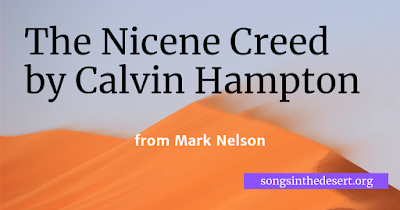 I'm an Episcopalian, and many submissions happen to be either in the Hymnal 1982 or known in Episcopal congregations, but this project welcomes hymns from any Christian tradition. We started with a short run in Lent 2017, a continued with a full run every weekday in Lent 2018. Check the blog for information about Lent 2019. 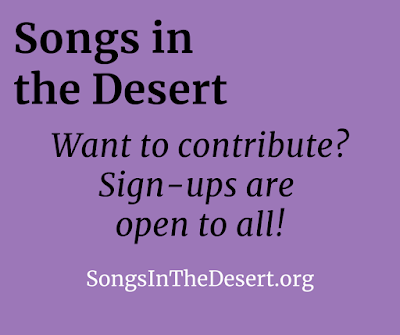 First, choose a day even if you aren't quite sure what hymn you'd like to write about yet (space is limited!) and sign up. Write and/or record your reflection. If recording an audio reflection (preferred) use the best microphone you have. The microphone on your smartphone is probably great for this purpose. Make sure to record a high-quality, uncompressed file, especially if you use an iPhone or iPad running iOS 12 (see "Recording Tips" below). You can speak informally, or write out a script first. It doesn't matter to me. There's no need to get it "perfect." If you stumble over a word or a phrase, just take a breath and start the sentence over. This a simple matter to fix in editing. Just keep the tape rolling the whole time. A perfect, complete take is not needed! You can talk for as long as you like, but I'll probably edit it down to about 3-4 minutes or so. Finally, don't forget to say who you are, where you live, and what you do or where you go to church so we can add that in. Send the finished product to dsinden@gmail.com by your deadline (the date you signed up for). you are using the highest recording quality you can. Are you using an iPhone or iPad with iOS 12? or a Mac running Mojave? Go into Settings and switch recording quality to lossless. you can't hear "popping" of Ps into the microphone on the recording (if you do, move a bit further back, or don't speak so directly into the mic). you're not too far away from the microphone either. The recording shouldn't sound like you're talking in a big empty room. Before you record your reflection it's a good idea to do a short test recording first just to make sure you like what you hear. 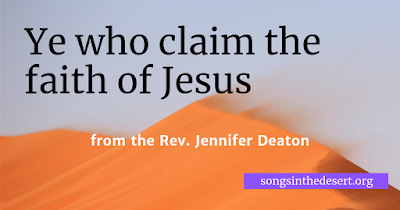 Q: For the Lent project, do I have to choose a hymn that is appropriate for Lent? A: No. Just because we are undertaking this project in Lent we are not limiting your selection of hymn in any way. "Alleluias" are fine. And we would be surprised if anyone was truly inspired to talk about a hymn in the Lent section of the hymnal. Q: For the Advent project, do I have to choose a hymn that is appropriate for Advent? Q: Do I have to pick just one hymn? A: Yes. We know it's hard. Q: Do I have to be a musician/priest/theologian? A: No, though submissions are welcome from all of the above! Your honest, personal reflection/reaction to a hymn is what will make this project interesting. Q: Do I have to record any music too? A: No. We just want to hear 2-3 minutes of your thoughts recorded via a voice memo app (or a digital recorder if you're really fancy). If you have a recording of the hymn or you want to make one in addition to your spoken remarks that's great, but it's not required. Alternatively, you can just write some text and send it to me. Q: Where do I send my finished voice memo again? Q: What if I really don't like the idea of recording my own voice? Q: I really like the name "Songs in the Desert". Where did it come from? A: It was suggested by Jason Sims. This page last updated 14 February 2019.